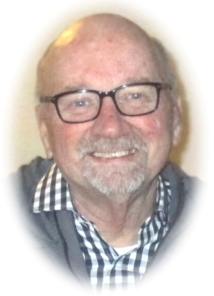 Dean E. Schoen, age 64, of Apple Court, Port Washington, WI died Saturday, April 29, 2017 at his home after a courageous battle against cancer. He was born on August 25, 1952; son of Everett and Bernice Eide Schoen. Growing up on the Canada side of town on Foster Street, Dean graduated from Port Washington High School, class of 1970. On September 20, 1975, Dean married Patricia L. Nauman of Wauwatosa at St. John’s Lutheran Church in Port Washington. As a kid, Dean cut grass at Union Cemetery. For more than 20 years, Dean had worked with various commercial real estate companies in Southeastern Wisconsin doing maintenance. Dean appreciated the outdoors by fishing, boating, camping with family and friends and playing golf. He took great pride in his home and family. Dean is survived by his wife Pat; his children Trevor (Kimberly) Schoen of Port Washington and Kate (Tony) Vaiana of Mesa, AZ; his grandchildren Oliver Schoen and Anton IV and Layla Vaiana; his sisters Shirley (Phil) Groothousen of Port Washington and Sandy (Dale) Landgren of Pewaukee and sister-in-law Christine Kerig of Janesville and brother-in-law Mark (Moe) Nauman of Milwaukee; nieces, nephews, other relatives and friends. Funeral Services will be held at 6PM Tuesday, May 2, 2017 at the Poole Funeral Home, 203 N. Wisconsin Street, Port Washington. Family will receive friends from 4-6PM Tuesday at the funeral home. Interment will take place at Union Cemetery in Port Washington. Memorials to www.autismspeaks.org are appreciated. Shirley I am so very sorry for you and your family’s loss. Hold on to the knowledge that he is with the Lord cutting grass and doing anything that needs fixing he is doing it. Also as hard as it is remember he is not in any pain and is with his Lord. Probably talking over the neighborhood of the ” Canada ” of PW.